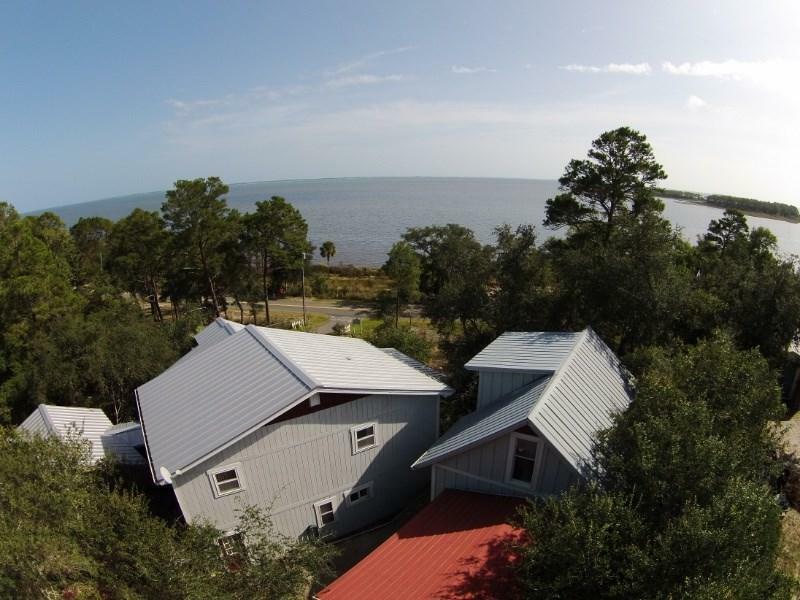 Price Reduced on this estate type home sitting 30 feet above the bay. No flood insurance is required on this large & airy, rustic showplace. 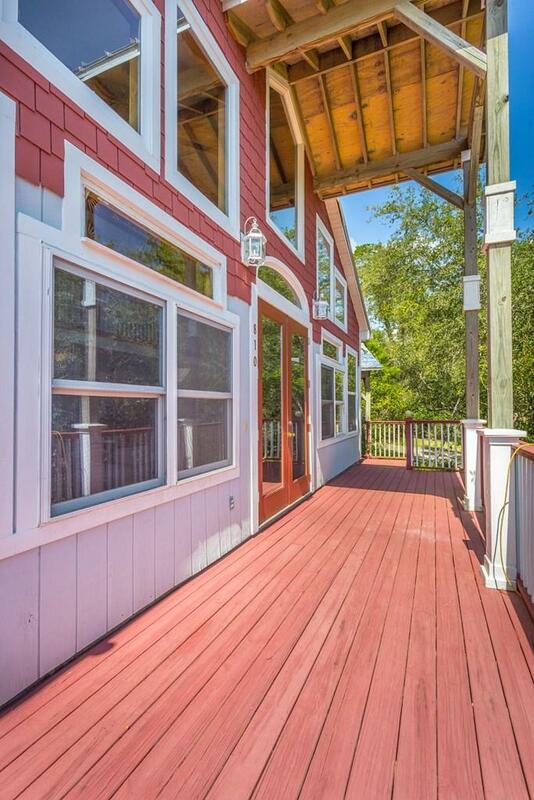 Vaulted ceilings, tile and hardwood floors with windows everywhere for catching the views make Sea Bluff a truly remarkable home. Walk to Marine Street along Carrabelle Harbor or drive less than five minutes to white, sandy beaches. 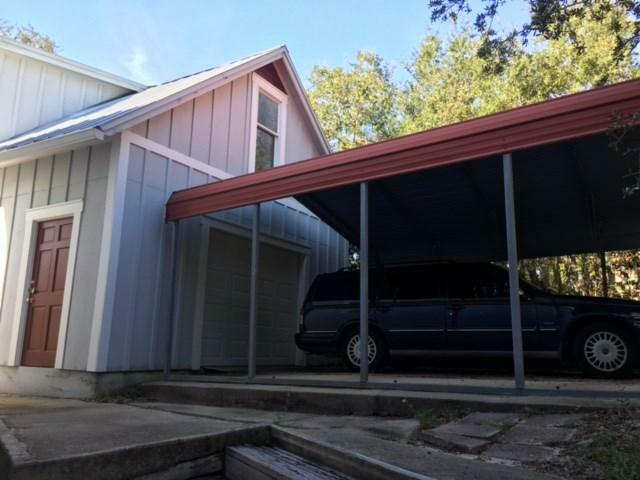 Metal roof is 5 years old and master bath was renovated 4 years ago. There are new quartz counter tops in the kitchen. There is a carport and a separate workshop which could possibly be converted to a guesthouse included with this very private retreat. 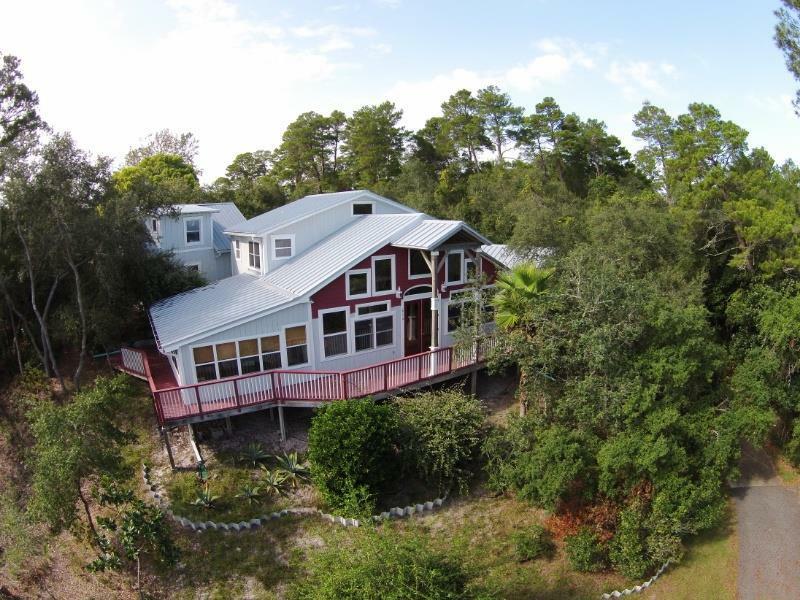 Enjoy views across the bay all the way to Dog Island. Fully furnished. This unique home is a must see. There is a separate building lot at the base of the drive included in this price allowing another home.